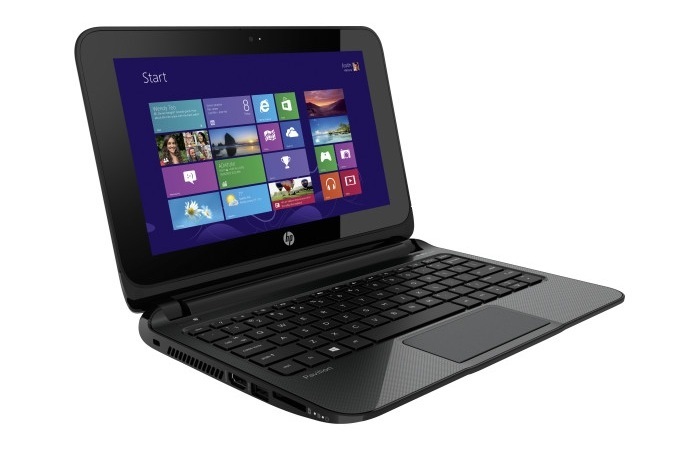 HP has this week added a new addition to their range of mini Notebooks, in the form of the newly launched HP TouchSmart 10 Windows 8 Mini Notebook. 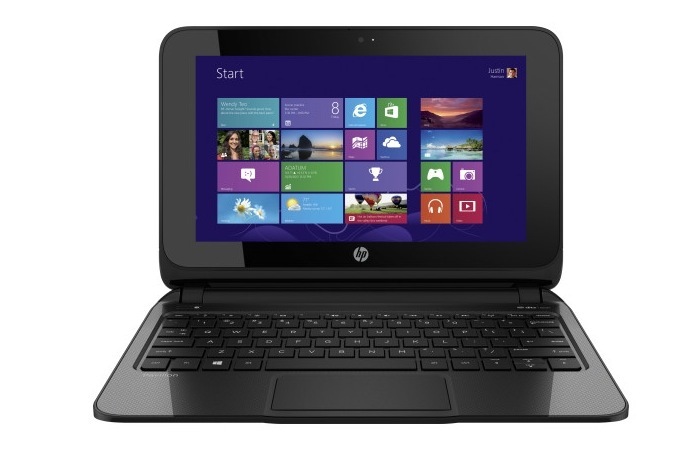 The HP TouchSmart 10 Windows 8 Mini Notebook is fitted with a 10 inch screen and is powered by a AMD A4-1200 “Temash” processor offering moderate performance and low power technology extending the life of the 3-cell battery to offer around 5 hours of usage. As well as being powered by the AMD A4 Temash processor its also equipped with AMD Radeon HD 8180 graphics supported by 2GB of RAM and 350GB of storage with the option to increase this if desired to 500GB. Other features of the HP TouchSmart 10 Mini Notebook include 1 x USB 3.0, 2 x USB 2.0, HDMI output, SD card reader as well as Ethernet and Wi-Fi connectivity. Unfortunately though HP has not included any support for Bluetooth connectivity which is a little disappointing, but the option can be added for an additional cost if order directly from HP. Together with a HDMI to VGA adapter that will cost you $30 if required. The HP TouchSmart 10 running Microsoft’s latest Windows 8.1 operating system will be available to purchase before the years end for $299.